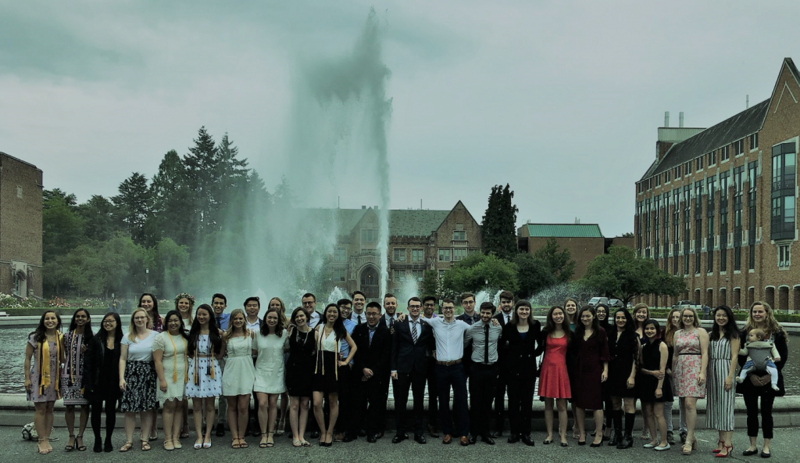 The Neuroscience Major is a multidisciplinary program at the University of Washington that leads to a Bachelor of Science degree in Neuroscience. It is designed to take advantage of the depth of expertise in neuroscience among faculty in many departments at UW, which has been for many years one of the leading institutions in the world in neuroscience research. Neuroscience is the interdisciplinary study of the nervous system, whose ultimate goal is to understand higher brain function and neurological disease at the cellular and molecular level. Neuroscientists combine molecular, electrophysiological, computational, and behavioral approaches to achieve this goal. For most of us, the excitement of this field comes from the attempt to understand the organ that defines us as individual, conscious human beings. We want to bring that excitement to you as undergraduates. To do this, we invite students to study in a small, intense, close-knit program with other highly-talented and motivated undergraduates. We keep our program small (about 60 students are admitted each year in a competitive application process) and require students admitted each year to proceed through our core courses as a group, with all core courses open only to neuroscience majors. In teaching this core, we draw on expert faculty in each field (electrophysiology, synaptic circuitry, behavior, anatomy, neurological disease, neuropharmacology), and bring these faculty to the undergraduate classroom from a variety of departments within both the College of Arts and Sciences and the School of Medicine. In the introductory course sequence, intense laboratory sections each week allow students to learn many of the basic techniques used to study the nervous system and to analyze, write up, and present their results. We strongly encourage students to enter faculty laboratories to carry out individual research projects that span a year or more, so that they can become true participants in this exciting field. Finally, our small size and close faculty-student interactions allow us to personally mentor our students as they navigate our program and plan their future careers. So, whether you are a current student in our program, a university student interested in applying to the Neuroscience major, or a high school student exploring college possibilities, let me encourage you to explore this website. Here you can learn about Admission to our program, our Courses, our Faculty, research opportunities for undergraduates, and take a look at some of the activities and accomplishments of our students. If you have further questions, see our FAQ page or contact me directly. I look forward to hearing from you.